Quorn Mince is a midweek meal lifesaver! 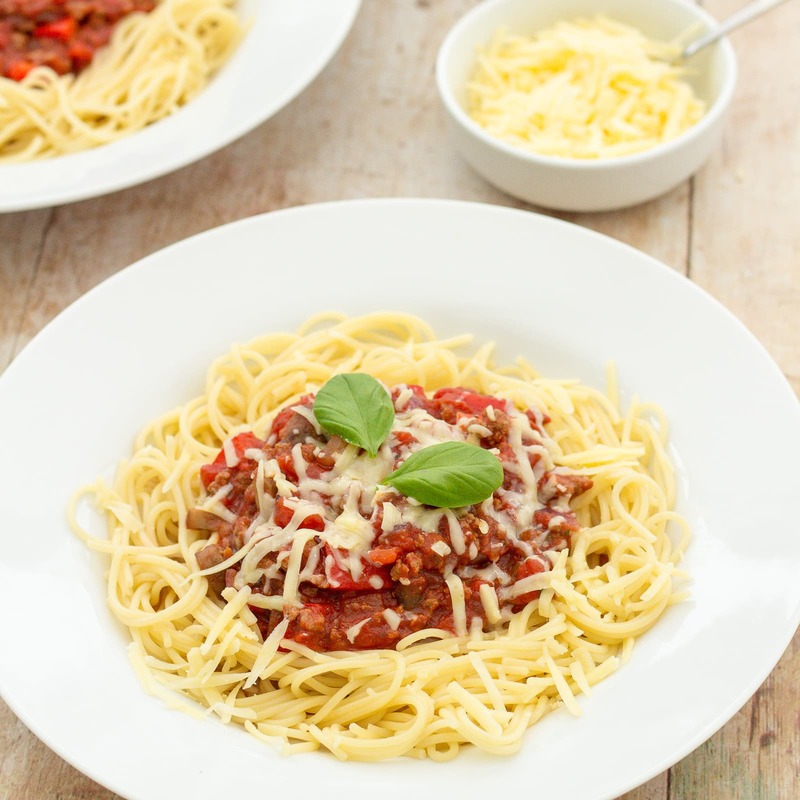 Keep a bag stashed in the freezer for emergencies and you can have this Easy Quorn Bolognese on the table in just 20 minutes! 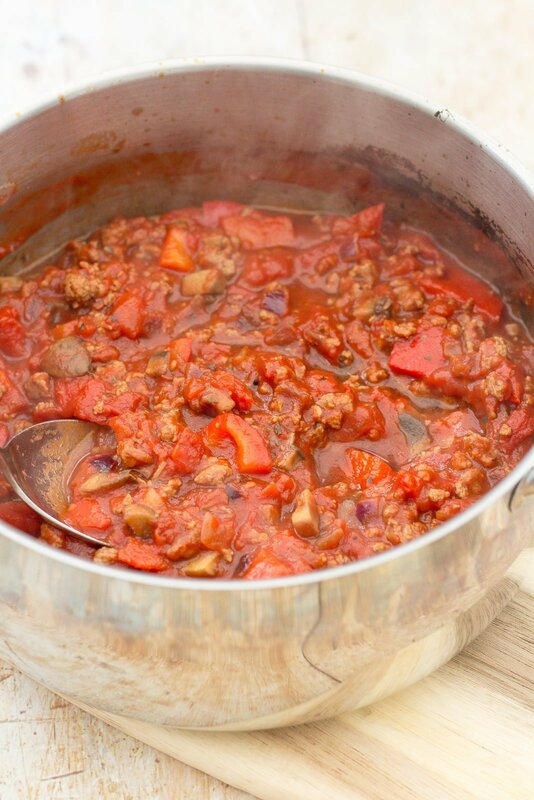 I always keep a bag of Quorn mince in the freezer as it is great for quick, easy midweek meals such as Quorn Chilli, Quorn Shepherd’s Pie, Quorn Moussaka and of course Quorn Spag Bol! I love how Quorn mince can be cooked from frozen – not having to worry about defrosting it is one less thing to think about on busy days! It also means if my plans fall through, I know I can always whip up a quick Quorn recipe to have for dinner! 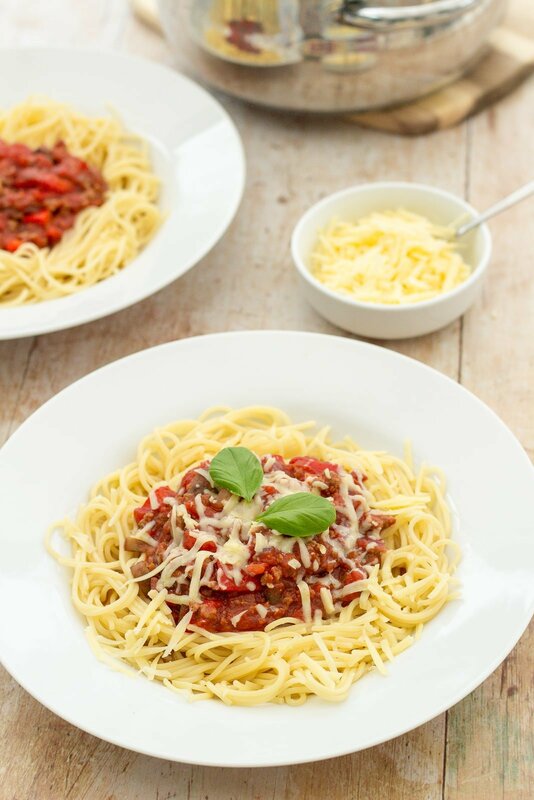 This Quorn Spaghetti Bolognese is one of our absolute favourites – quick and simple to make, it tastes delicious and I know my kids will eat it! I make it most weeks and usually make extra to have for lunch the next day too. Quorn mince is also low in fat and high in fibre – making it a healthy midweek choice (well – depending on how much cheese you load on top!) and it’s also less expensive than standard mince too, so great if you are needing to save a few pennies. 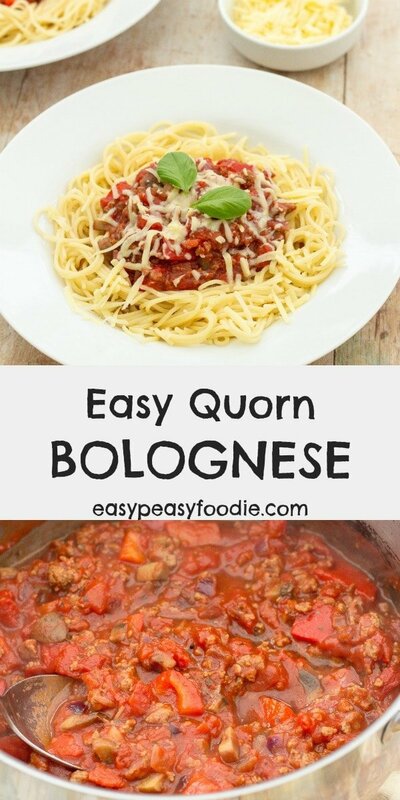 I usually serve my Easy Quorn Bolognese with spaghetti or another pasta shape (my kids love the three-colour pasta with this!) – but if you are willing to break with tradition you could absolutely have this with rice or a jacket potato instead! Quorn Mince is a midweek meal lifesaver! 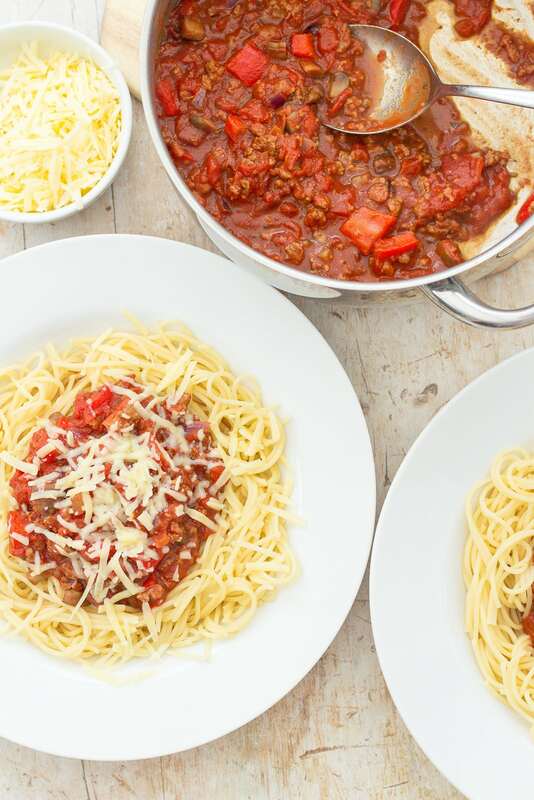 Keep a bag stashed in the freezer for emergencies and you can have this Easy Quorn Bolognese on the table in just 20 minutes. Put the onion and olive oil in a wide, deep saucepan and gently cook the onion, with the lid on for about 5 minutes – until the onion is softened but not brown. Stir occasionally. When the onions are ready, turn up the heat and add the mushrooms - fry for 2 minutes, then add the peppers and fry for a further 1 minute. Turn the heat right down again and add the Quorn mince, crumbled stock cube, oregano and seasoning. Fry for 1 minute, stirring continuously and then add the tinned tomatoes. Bring to the boil and then turn right down to a simmer. Cook your spaghetti according to the packet instructions / your preferences, and when the spaghetti is done the sauce will be too. Divide the spaghetti between four plates and serve the sauce in the middle. Scatter over the grated cheese and dig in! Suitable for freezing (Bolognese sauce only - not the pasta). Ooh thanks for this! It looks delicious – and versatile. I have been looking for a good quorn spag Bol recipe for a while now and this certainly hits the spot. Great simple and delicious recipe thank you.